I enjoy making my own DIY beauty products. Firstly, I know what’s in them, meaning, no chemicals and ingredients I can’t even pronounce. Secondly, it fun to experiement and play with natural ingredients you may already have in your pantry. Not to mention you can make them look so pretty, which makes them great gift ideas. 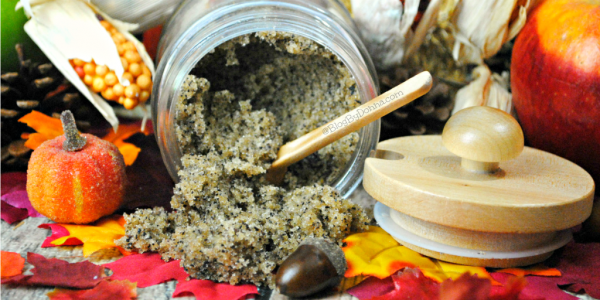 My most recent DIY is a Cinnamon Chai Sugar scrub that incorporates cinnamon and chai, both good for you. First I’d like to clarify what chai and cinnamon are and their benefits to your skin. Obviously they’re good for our body’s to ingest them, but they can be good for our skin, too. Chai is a tea. Plain and simple. It’s redundant to say, “chai tea”, because you are really saying, “tea tea”. Chai is good for your skin because of the spices that are used to make it, like cloves, ginger, cardamom, and black pepper. Spices great for circulation, puffiness… great for your face and neck. Yes there’s cinnamon in chai, but adding more cinnamon gives you even more benefits, like, drying out acne, unclogging and opening up pores, and plumping up your skin by bringing oxygen and blood to the surface of your skin. I love sugar scrubs since they’re a great way to exfoliate your skin naturally and adding aromatic spices just make you feel good. In a large bowl add your sugars with insides of the chai bags and cinnamon. Add the oil and, vanilla and mix well. Add more oil if needed until your desired consistency is reached. 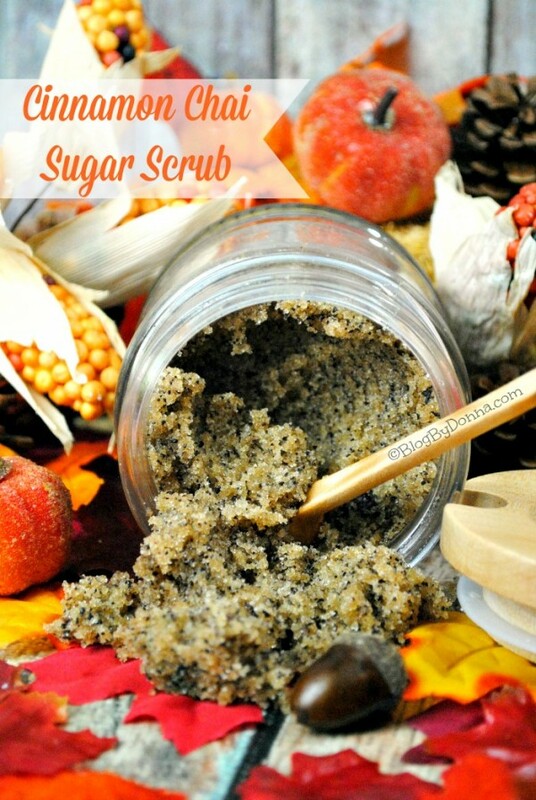 I’ve made sugar scrubs before, like this DIY Brown Sugar Scrub, but I’m wanting to experiment with more homemade facial scrubs or body scrubs this season to give as gifts. So be expecting more DIY scrubs here on Blog By Donna soon.